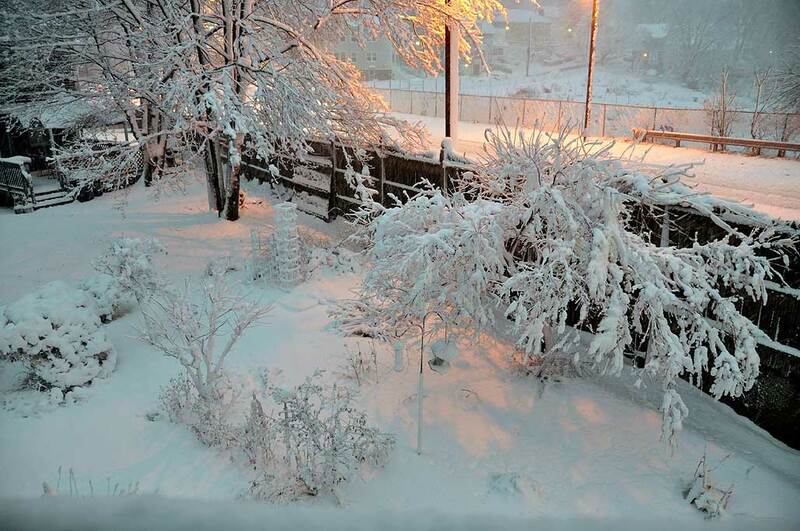 Boston residents woke up to a foot of white stuff this morning, with more predicted for the remainder of the day. The snow was not light and fluffy like it was for the Christmas Weekend Blizzard. Today’s snow was wet, clumpy, and heavy. It plopped on everything, caused power outages, and toppled trees all over the city. The trees and bushes in the RainyDayGarden were all drooping from the weight of the snow. We knocked off the snow and opened a few paths, but the snow was coming down as fast as we could clear it. After 30 minutes of not making much progress, we packed it in to wait out the storm. Eliot was curious and took a stroll with us when we went outside. He has developed quite the thick coat and did not seem to mind the snow. With six toes (he is one of those polydactyl cats) it had to be cold walking around in snow…even if those extra large paws kept him from sinking into the snow. We don’t have access to a garage, but we do have a private driveway. 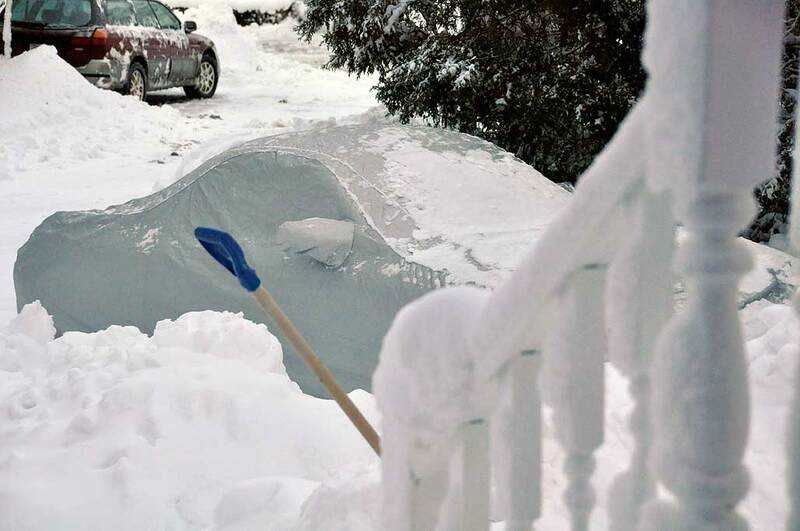 To protect the Boxster against the New England elements, we have always used a car cover. The cover is great for keeping the bird crap off the car in the Summer, and also makes a big difference when it comes to clearing the snow off the car. There are many makers of car covers, but we have only used Porsche OEM weather-proof cover. Our previous one lasted about six years. At $300 a pop, the OEM cover is kind of expensive, but we managed to snag an almost-new one for $50 from someone who sold their Boxster this Summer. Gotta love Craigslist! Don't like the weather? Just wait a minute.